Nike have just presented their new Nike Maxim HI-VIS ball, that will take over the worlds three strongest leagues; The English, The Spanish and the Italian. 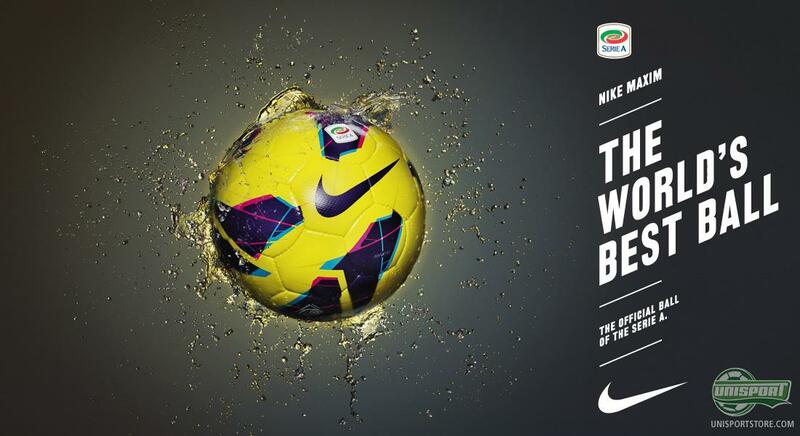 It's no less than a technological wonder and will prepare the worlds greatest footballers for the daunting conditions, of autumn and winter, that are just around the corner. In the worlds best leagues, speed, intensity and precision mean everything and determine whether you win or loose. As the days grow shorter and we get less sunlight, our football-equipment needs to accommodate to the conditions. 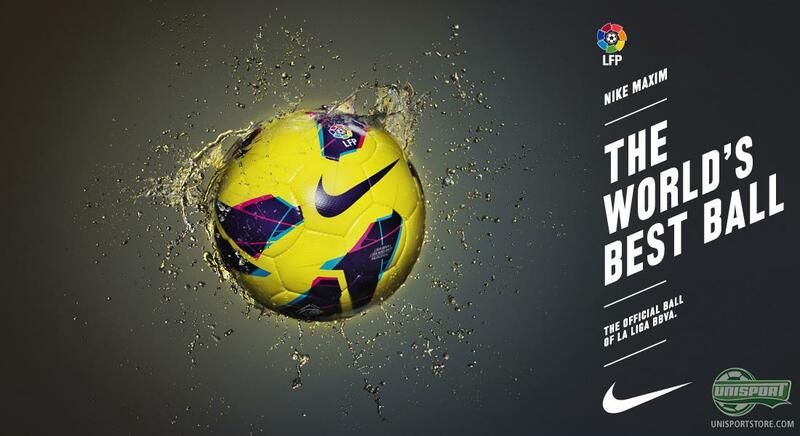 That's why Nike Maxim HI-VIS is designed in flashy yellow and purple colours, so it's easy to spot, when the weather normally limits your football-play. Nike Maxim HI-VIS is designed with the smart RaDaR-technology, that stands for Rapid Decision and Response, which is a technologically tested design, that improves the visual performance. RaDaR-technology gives the players the opportunity to take advantage of every second on the pitch, so they can react to make the right pass and finish at the right time. Footballers, on all levels, depend on the ball doing what they want it to and that is exactly what the Nike Maxim HI-VIS delivers. 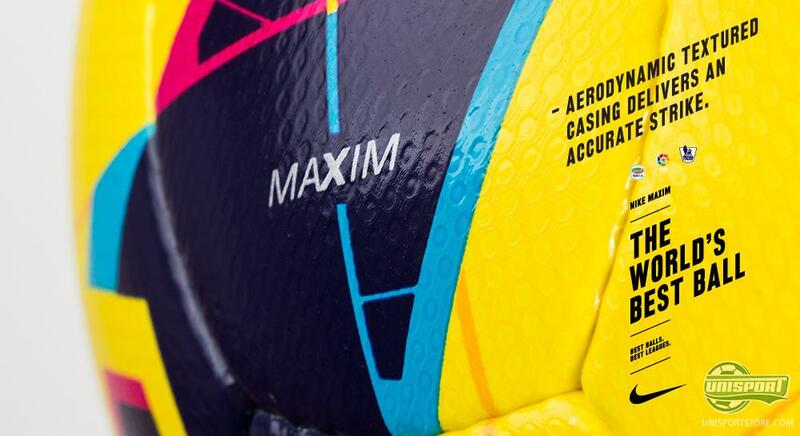 Maxim is built up with five layers, which each give you unique-qualities; optimal first touches, precision when you strike, as well as maximal power dispersion. The second outer layer of the ball is made with nitrogen developed foam, that makes sure the ball keeps its round shape and thus making it last longer. This advanced process of production means that you get a ball, that gives you truly unique playing-opportunities. The surface structure can be compared to that of a golf ball. 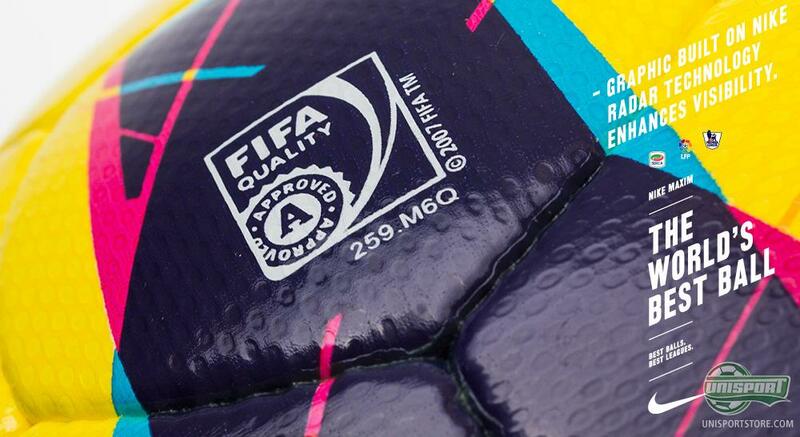 There are small dents in the ball, they give a more stable and reliable passage through the air. Maxims inner-layer is made with carbon-latex bladder, that ensures maximal response time and stability. 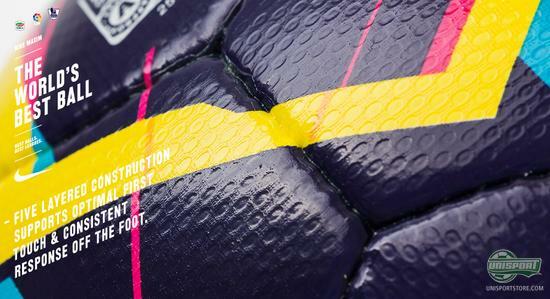 To ensure that it keeps these high standards, the inner shell of the ball, has been hand-stitched to improve durablity. We are having trouble pinning a favorite, because we think they all have their individual charm. But maybe you can help us  which is your favorite? The classic? Premier League? Serie A? Or La Liga? Tell us in the comments section down bellow.